Available for pre-order today! So watch out for him at your fav hobby stores! Revealed during a niconico event! I hope they will make enough of him so that we can all get our hands on him and avoid a Kaito situation ^^;; Looking forward to his release! Update 28 April 2012: Coloured prototype revealed! Camui/Kamui Gakupo (神威がくぽ) is the official mascot character of Gackpoid (がくっぽいど / Gakuppoido) which is a singing synthesizer application software powered by Yamaha’s Vocaloid2 series and was published by INTERNET Co.,Ltd. in July 31, 2008. His voice is provided by Gackt. The Vocaloid software itself is under the official name Gackpoid, and Kamui Gakupo or Gackpo is the avatar character of the software drawn by the illustrator Kentaro Miura (三浦健太郎 Miura Kentaro). 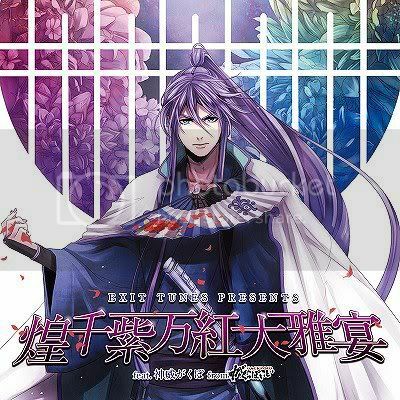 Been wishing for Gakupo and Kaito’s figma for years… I hope the wish comes true some day.